TWO x TWO for AIDS and Art takes great pleasure and pride in honoring Dana Schutz for her generosity and commitment to the fight against AIDS. Dana Schutz (b. 1976, Livonia, Michigan) lives and works in Brooklyn, NY. Schutz’s paintings depict darkly humorous narratives, hypothetical situations and impossible physical feats, such as swimming while smoking and crying or a manically refracted self-exam. Vibrant and tactile, Schutz’s oddly compelling images simultaneously engage the unique capabilities of the medium while conjuring a world both urgent and harrowing. Schutz’s solo exhibitions include Dana Schutz: Eating Atom Bombs at the Transformer Station, Cleveland Museum of Art, Cleveland (2018); Institute of Contemporary Art, Boston (2017); Musée d’art contemporain de Montéal (2015); Kestnergesellschaft, Hannover (2014); Hepworth Wakefield Museum, Wakefield, United Kingdom (2013); Miami Art Museum; Denver Art Museum (2012); Neuberger Museum in Purchase, New York (2011); Douglas Hyde Gallery, Dublin; Museo d’Arte Moderna e Contemoranea di Trento e Roverto, Italy (2010); and the Rose Art Museum, Brandeis University, Waltham, Massachusetts (2006). She has participated in many acclaimed group exhibitions, including The Whitney Biennial 2017, Whitney Museum of American Art, New York (2017); Riotous Baroque: From Cattelan to Zurbarán. Manifestations of Precarious Vitality, Kunsthaus Zürich, Switzerland (2012); Take Two. Worlds and Views: Contemporary Art from the Collection, The Museum of Modern Art, New York, NY (2007); and Clandestine, Venice Biennale, Venice (2003). Her work is included in the collections of the Museum of Modern Art, New York; The Whitney Museum of American Art, New York; Solomon R. Guggenheim Museum, New York; The Metropolitan Museum of Art, New York; Hammer Museum, Los Angeles; Museum of Contemporary Art, Los Angeles; Institute of Contemporary Art, Boston; Museum of Fine Arts, Boston; Montreal Museum of Fine Arts, Montreal; San Francisco Museum of Modern Art, San Francisco; among many others. As part of TWO x TWO for AIDS and Art 2018, Dana Schutz will receive the amfAR Award of Excellence for Artistic Contributions to the Fight Against AIDS in recognition of her generous support of amfAR’s programs. 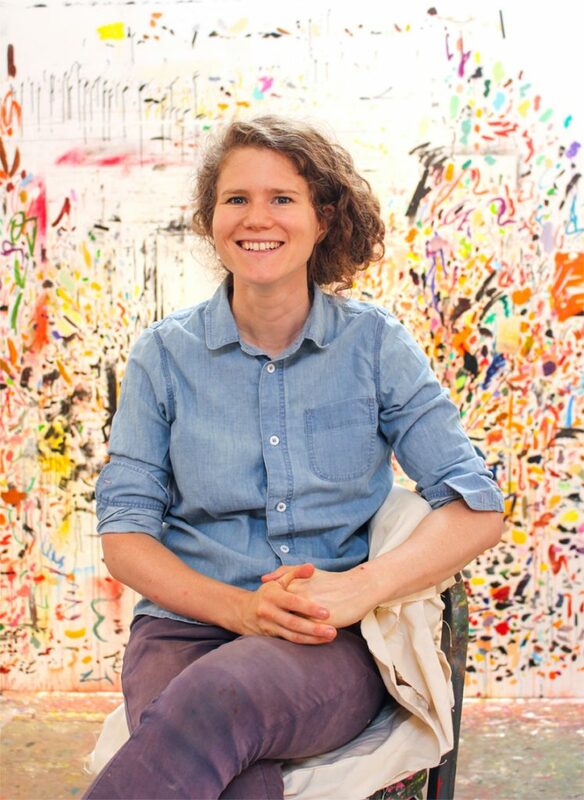 TWO x TWO is honored to have Dana Schutz as the featured artist of our 20th annual event. On behalf of amfAR and the Dallas Museum of Art, we extend heartfelt thanks to Dana and to Petzel for their extraordinary support of this event. Past TWO x TWO for AIDS and Art honorees include renowned artists Jonas Wood, Laura Owens, Ellsworth Kelly, Wade Guyton, Luc Tuymans, Richard Phillips, Mark Grotjahn, Christopher Wool, Peter Doig, Jim Hodges, Elizabeth Peyton, Tom Friedman, Cecily Brown, Julian Schnabel, April Gornik, Ed Ruscha, Joel Shapiro, and Robert Rauschenberg.